Pay Less for Insurance! Reduce your Taxes! Save for Retirement! HSA California Small Group Plans offers you a way to pay less for insurance, reduce taxes, access high quality health benefits, and save for future medical expenses with a Health Savings Account (HSA). HSAs work with higher deductible health plans that reduce monthly insurance costs. Instead of paying insurance companies for benefits that often times aren't used, you pay less each month and can make tax deductible contributions into an HSA that can be used for medical expenses or earn interest tax free until you retire (2012 contribution maximums are $3,100 for individuals or $6,250 for families). 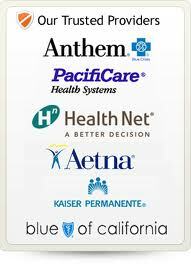 And, while most programs offer you only one health plan, HSA California offers you Health Net, Kaiser Permanente and Western Health Advantage. Kaiser Permanente was founded more than a half-century ago by Sidney Garfield, MD, and Henry J. Kaiser to provide medical and hospital services to Kaiser shipyard and steel mill workers. It was one of the first health programs to offer such comprehensive healthcare services on a prepaid basis. The same innovative spirit also drives the nation's largest nonprofit health care organization today-a nonprofit health plan that is guided by physicians and focused on providing high quality care to members. Health Net has been a wellness pioneer for many years. By offering reminders and information on the importance of getting preventive health screenings, the prevention programs help members maintain better health. Nearly quarter-century history of health coverage. Network of nearly 49,000 contracted physicians, 570 physician group locations and 4,400 pharmacies. A.M. Best Rating of A- (Excellent). Western Health Advantage (WHA) was founded in 1997 by a coalition of doctors, providers and medical facilities committed to providing personalized managed care in Northern California. WHA is a not-for-profit HMO, owned and operated by providers that offer a new model of managed care which emphasizes quality, service and compassion.